The Peugeot e-LEGEND stole the show with its razor-sharp edges, dazzling LED lights, and futuristic interiors. Autonomously driven, the car features a steering wheel that can be tucked away inside the dashboard. The first of the three Renault self-driving concepts, the EZ-GO shows how your time is better spent working and attending moving meetings while the vehicle drives itself around town by itself. Check the single large door out! The second of the three Renault self-driving concepts, the EZ-ULTIMO is similar to the EZ-GO, but is envisioned more as a moving 'first-class lounge'. The interiors are made of real marble, wood panelling, leather, and dimming lights. The last of the three Renault self-driving concepts, the EZ-PRO is a shared robot-vehicle designed for easier logistics and last-mile delivery. At the motor show, Renault showed how one of them could be used as a self-driving coffee shop. Lexus calls the LF-1 Limitless Concept a flagship luxury crossover. It has LED lighting all around and boasts large 22-inch wheels. The cabin adheres to the Japanese tradition of omotenashi, which means hospitality. The Smart ForEase concept is based heavily on the Smart ForTwo hatchback but ditches the roof to let in sunshine and breeze. Like the Smart EQ ForTwo Cabrio, it employs a fully electric powertrain. The Mercedes-Benz Vision EQ Silver Arrow pays homage to the one-seater W 125, which broke the world speed record in the 1930s. The car uses a unique blend of digital and analogue elements throughout. Audi's PB-18 e-tron is a low-riding electric sportscar concept with a large air intake in the front and three powerful motors (one up front and two in the back). The four-wheel driven car is capapble of summoning up to 775 PS of power all in all. 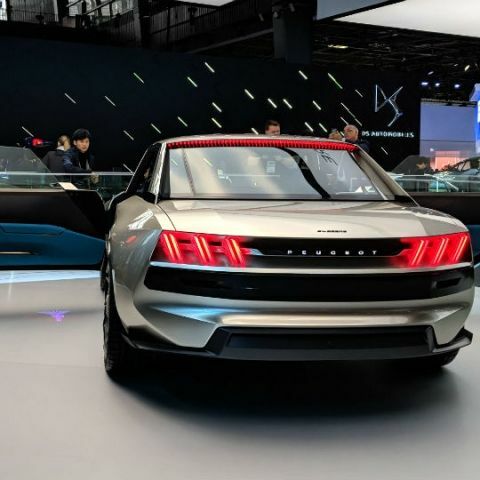 The Enverge by Chinese automaker GAC Motor features gull-wing doors and an electric drivetrain. It needs no power cords to charge, and only a compatible parking bay. Its 71kW battery has a driving range of 600km and its 350 kW charger can juice it up with 400km of range in just 10 minutes. Suggest a good tablet around 7k?? which phone display is best Sony xperia SP or Moto X ? What to choose from sony flip 14 and apple mac book air 13 ? In flagship killer smartphones which smartphone are best ?